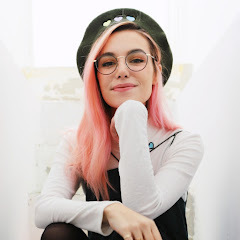 Marzia Bisognin (born 21 October 1992), better known by her YouTube name CutiePieMarzia, is an Italian internet personality. As of April 2016, her videos have earned over 498 million views, attracting over 6 million subscribers to her channel. She is best known for topics such as beauty, fashion, make-up, books, DIY, movies, hauls and video games. She is Italian, but speaks English in her videos, in order to have a larger target audience. Bisognin is a member of Maker Studio's sub-network, The Platform. She attracts over 16 million viewers each month as the most subscribed Italian YouTube channel. The demographics of her viewers are females aged 13–24, who use Bisognin's videos as their main reference point. Additionally, Bisognin calls her fans as "marzipans." We made a Gudetama inspired dish! FIGHTING THE FLU & FOREST CREATURES!! Maya's Tutorial to make a COOL sweater. Pugs at the beach. Pugs at the park. 1 Day in Camber Sands.